All characters will start the game from Episode 4 once the update goes live, including those who are currently playing Episodes 1 ~ 3. EP 1~3 players, after making some progress through Episode 4, will be given the option to choose between EP1~3 or EP4 the next time they log in. In other words, making it past a certain point in Episode 4’s story will unlock the option of choosing between EP1~3 and EP4 upon logging into the game. 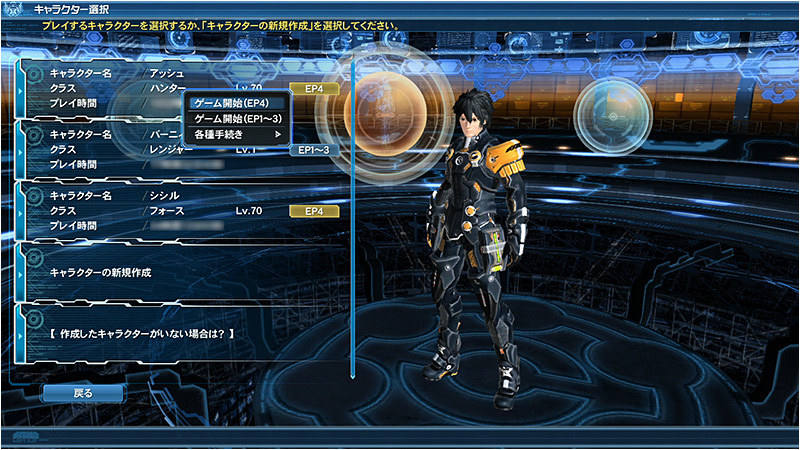 Start from (EP1~3) option on the character selection screen. You will advance through the Story using the [Story Board] and not the [Matter Board]. Event Fields will not appear during quests. Story events will instead be activated by selecting “Event Pieces” on the Story Board. Some NPCs will not show up in the lobby. You will not be able to play Story Quests from Episodes 1 ~ 3. You will be able to play the Episode 1 ~ 3 stories in order. The menu option to [Play from Episode 3] will no longer be available when the game begins. Characters with Episode 3 [Matter Boards] prior to this update can continue their EP 3 progress in the same manner as before. You will advance through the story using the [Matter Board]. Event Fields will display in quests and can be accessed to start the event. Featured Quests will now be unlocked once the Tokyo Free Field Quest is cleared. Daily Orders will now be unlocked once the Tokyo Free Field Quest is cleared. Io’s Client Orders will now be unlocked once you clear Nab Rappy Capture or finish your Mag License Application order. The contents of Daily Orders and Team Orders will change during maintenance on January 27th in response to the release of the Tokyo field. ※Those who’ve already unlocked the aforementioned features will retain access to them. New characters created after the release of Episode 4 will initially learn these Photon Arts / Technics. The placement of certain shops and attendants will be altered. Certain NPCs have been newly outfitted with Layered Costumes. 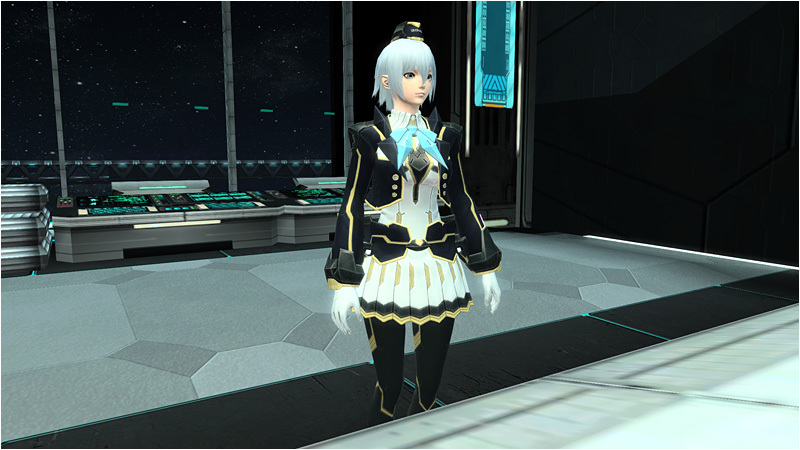 Some costume and accessory behaviors will be adjusted to accompany the implementation of Layered Costumes and the new Accessory Size & Angle features. In Episode 4, the Client Orders required to obtain a Compound Technic will no longer exist. These technics must instead be obtained from the Photon Drop Exchange Shop. Players who select Episode 1 ~ 3 can also obtain them through Client Orders in the same manner as before. The Weapons Badge changes will be implemented during February 10th’s maintenance. Once this goes live, Weapons Badge 2015 will no longer be obtainable. However, the [Weapons Badge 2015 Exchange] will continue its service by being available from the Exchange Shop. Are you Ready For Episode 4? All features listed in this linked article, including the new character customization options, will be arriving on January 27th, 2016! However, the Maestro Summoner AC Scratch will be released two days later on January 29th. 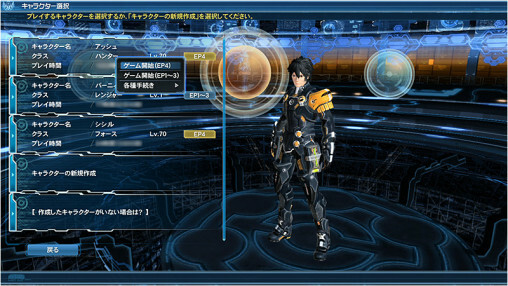 Coming up in late February will be the release of the “Episode 4 Character Creation Demo”. This is a standalone program where you can test how your computer fares with the new graphics setting. You’re talking like the Disk Shop wasn’t a thing. You don’t even need the disk shop (new players should save their mesta, though granted they might not know that if they’re not familiar with how MMOs tend to work). Basic techniques and PAs are excessively common. You could still buy some Lv10 disks for ~1050 meseta from player shop. The biggest thing I’m ready for is the storage. Just a few more days until storage heaven. Hey, a lot of the stuff you pick up from the MB nodes is legit affix fodder! Nothing wrong with them as long as you don’t have an EQ coming up or smth. It’s the obscenely vast and sprawling MBs themselves (primarily in Ep 1) that’re a downright chore. That’d be 2-6, whose storyquest isn’t too drawn-out from what I recall. Pretty sure he’s referring to the Mothership one at 2-5 which is legit marathon. You DO know that quest had actual checkpoints unlike any other SQ I’ve played right? “Daily Orders will now be unlocked once the Tokyo Free Field Quest is cleared. Just to be sure… People who already have a Mag and Io CO won’t have to unlock it again, right? ._. Any features listed in that section that you’ve already unlocked will remain unlocked. That includes Io’s client orders and the Mag client order. Those particular changes really only apply to new characters. We never know, with something called “Reborn”… ^^ Thank you. It’s taking me forever to finish the damn matterboards. They’re a nightmare and I hope that the storyboard are more than a stupid name change. Sounds like Episode 1. By Ep 3 they’re thankfully pared down to something of a minimum in terms of size and structure. storyboards can be cleared in minutes. just target the enemies and abandon quest. you can even use tacos and other tricks to get it done fastest. Are they nerfing Over End? I mean it’s only a couple of hits and it leaves you wide open for a attack… ._. If they start you off with Over End, wouldn’t it get nerfed? It’s kind of really powerful and new players wouldn’t likely get interrupted too hard (if at all) while using it on normal difficulty… Isn’t that why it was rarer? *shrug* Do you see any mentions of any changes to the PAs themselves up there? I phrased that AS A QUESTION… It’s only jumping to conclusions when you’re certain of something. One definition thereof is “making a negative assumption when it is not supported by any facts.” That you phrased it as a question does not make the inference any less pulled out of, to phrase it politely, thin air. Ok now you’re just being obstinate. The info is basically “OE will be the new starter Sword PA”, from which you *somehow* inferred it may be getting a nerf despite no mention of any changed to the PAs themselves whatsoever. For all practical intents and purposes that’s jumping to conclusions. Don’t mind these other two, Mattwo. I understand your perspective and why you ask that question. I’d have honestly thought the same thing, even though it being a level 1 PA, It’s still pretty dang powerful itself nonetheless. So maybe not, especially when trying to bring new players in. They love to start them out with having a ton of fun before the truck of PSO2 hits and they gotta really learn and have fun when the game goes from 0 -> 100 real quick! Just to clarify, if I haven’t finished Ep. 1~3, I will still be forced to play Ep. 4 until a certain point, then I can continue Ep. 1~3? I hope that point is not too far in, I hate having two different story lines going on in my mind. Yes, that’s what it says in the first 2 bullet points. It really shouldn’t be that too far in. You can always just mindlessly rush it by skipping the cutscenes and rewatch it later in your My Room. I just can’t wait until the entire board is translated for episode 4. It took too long to figure out half of the quests were completed by just talking to sierra. I know this is a bit late but if I happened to select start the game in episode 1 – 3, can I play in episode 4 later on the next login? I mean, I don’t want to lose my progress in episode 4 but I definitely don’t want to skip 3 episodes.